Goldstein-Schwartz is a family owned business that has been involved in the hose industry for over 80 years. Rand and Michael Goldstein. Goldstein-Schwartz specializes in making hose assemblies consisting of Rubber, Plastic, Metal, Teflon, and Composite materials to meet your specific needs. We offer custom orders of all hoses, including stainless steel braided hoses welded by 5 certified welders. 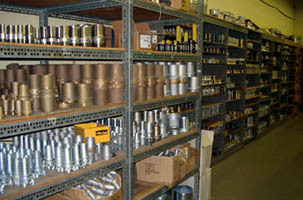 We also provide the fittings and couplings needed to connect your hose assemblies to be compatible with your equipment.